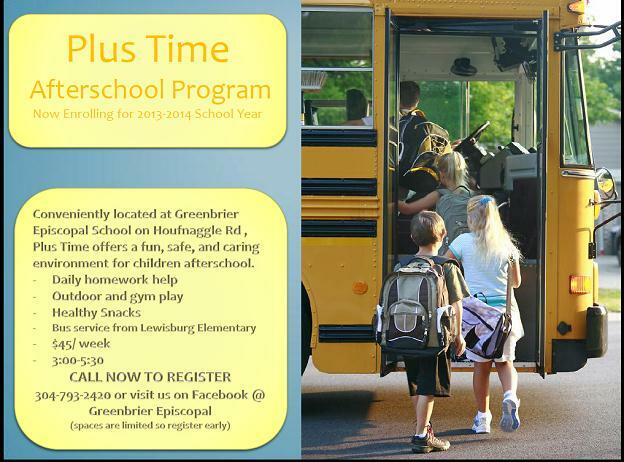 Plus Time Afterschool Program is now enrolling at Greenbrier Episcopal School. Call 304-793-2420 for more information and to register. Space is limited, so register early!